What Ray Shero did as the Pittsburgh Penguins' GM was, for better or worse, remarkable. When handed the keys, it is true that the Pens had already added what would be the core of this team in Sidney Crosby, Evgeni Malkin, Brooks Orpik and Marc-Andre Fleury. However, Shero would be at the center of many of the NHL's blockbuster trade deadline deals during his tenure. Perhaps none of those deals would ever prove as important to the franchise and its fan base as the Deadline 2008 deal with the Atlanta Thrashers that brought Marian Hossa to Pittsburgh. That deal truly marked the team's shedding of the nightmarish X-Generation era to not only the fan base, but the hockey world as a whole. Shero would spend the 6 years following the Hossa Deal manning the phones, breaking Bostonian hearts, headlining the NHL Trade Deadline and transforming the annual event into a highly anticipated holiday in the city of Pittsburgh. But that era has ended. This is Jim Rutherford's time. The current Penguins General Manager has put up with a lot of scrutiny since coming to the team. Suffice it to say, the 65 year old Rutherford enter his role in the most unsavory of circumstances. Much of that criticism has been less about him and more about the general public's dissatisfaction with the process that brought him to this position. Be that as it may, Rutherford was tasked with taking one of the most successful regular season teams of the past 6 years and molding them into a successful playoff team. To this end, the former Carolina Hurricane GM has shaken the team up at nearly every level. New coaches. Nearly half a roster of new players. And, more importantly, a new approach to the trade deadline. Still a sore spot for some. Pittsburgh Penguins fans have grown accustomed to Ray Shero's flash and ability to make the impossible deal happen. Don't expect that from GMJR. And don't mistake that as a weakness. If I had to guess (and that's exactly what I'm doing), Rutherford has made his major moves this season. He brought in Patric Hornqvist and Nick Spaling in a still hotly debated trade for James Neal. He signed Christian Ehrhoff, Steve Downie, Blake Comeau, Thomas Greiss and dealt center Marcel Goc for Maxim Lapierre. But Rutherford's splash move was clearly doing what Ray Shero was not able to do since Hossa left for Detroit then Chicago. He found a winger for Sid in David Perron. And he did it with plenty of time allowed for the winger to acclimate to and build chemistry with the team. That move, coupled with the residual effects of Shero's moves has left the Penguins in a precarious situation for the future which severely hamper what Rutherford will be able to do this year. The Pens simply lack the assets to make any major moves leading up to the deadline. The Penguins gave up their 2015 1st round pick for Perron. They already had given up the 3rd round pick to Florida for Goc. And, given the lack of cap space, not even a team desperate to dump salary can really consider the Pens a serious potential trading partner. Despite all of the internet hype for #JagrWatch, it isn't happening. The only way it could happen is if Jaromir Jagr demanded a trade from the Devils and declared that Pittsburgh was the only place he would go. In case you've been hiding under a rock, the closest he's come to that is saying that he wants to go to a contender in the Eastern Conference. Unfortunately for the Pens, Garth Snow has the Islanders in a position that would be a good fit, as has Marc Bergevin in Montreal. Devils' GM Lou Lamoriello knows this. 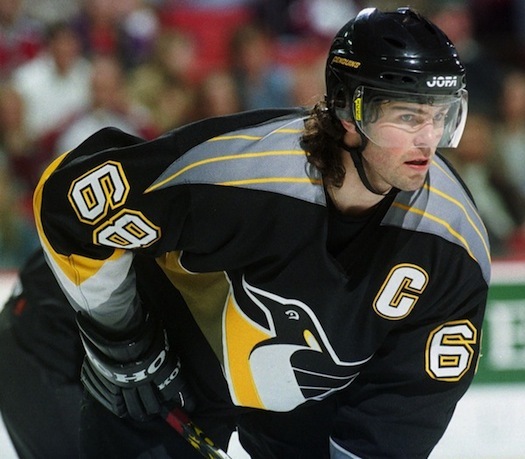 This isn't a denial of what Jagr would bring to the Penguins. His return to Pittsburgh would be incredible for a number of reasons in terms of both hockey and emotion. Rather, the important question that needs to be asked is, in the real world, what should the Penguins and Jim Rutherford do leading up to the deadline? The answer I propose will sicken many of those conditioned to The Shero Way: Take calls instead of make calls. It seems like an extreme measure for a team that is still in the hunt for the Metro Division title but given the assets - or lack thereof - that the Penguins are faced with, it seems to this writer that this may be the most prudent road to take. We are watching Crosby and Malkin's best years slip by, that much is true. "Age is nothing but a number" works nearly everywhere but the sports world. While Rutherford is being held accountable for this year's team, his responsibility is as much for the future of the franchise as it is for this 2014-15 squad. The Penguins have a number of hot defensive prospects, which has never been the problem. The problem for the Pens has always revolved around the forward position, whether that's been the top or the bottom. The 2015 NHL Entry Draft will feature a lot of really decent talent in the first few rounds that, coupled with the still-developing Kasperi Kapanen, could provide a promising future wave of youth for the Penguins. Rutherford has a monumental task ahead of him that centers around finding a balance between the present and the future. His first step - if he hasn't taken it already - will obviously be to find out about the team's defensive situation with Paul Martin and Ehrhoff both slated to be free agents. Once that is known, it may be best to take a page out of his predecessor's playbook, find a highly touted prospect to deal in a package for an early round pick and hope that, like one Angelo Esposito, they don't pan out for whatever team is willing to deal. Or don't make a deal at all. Let the team gel and see what you've got. When healthy, they've shown that what they've got is pretty good. Either one of those scenarios may be a tough pill for Pens fans to swallow, but unlike Shero's tendencies, Rutherford's goal should be focused on the future every bit as much as the present.